In this 8 session open level wax working class, you will learn to complete a set of designs utilizing different wax carving and forming techniques. You will start with carving waxes and learn subtractive sculpting methods by using files, burs and carving tools. You will also learn how to work additively with soft waxes like wire and sheet wax by utilizing wax pens and other modeling tools. Alternative approaches to surface embellishment, casting clean-up, and production considerations will also be covered. 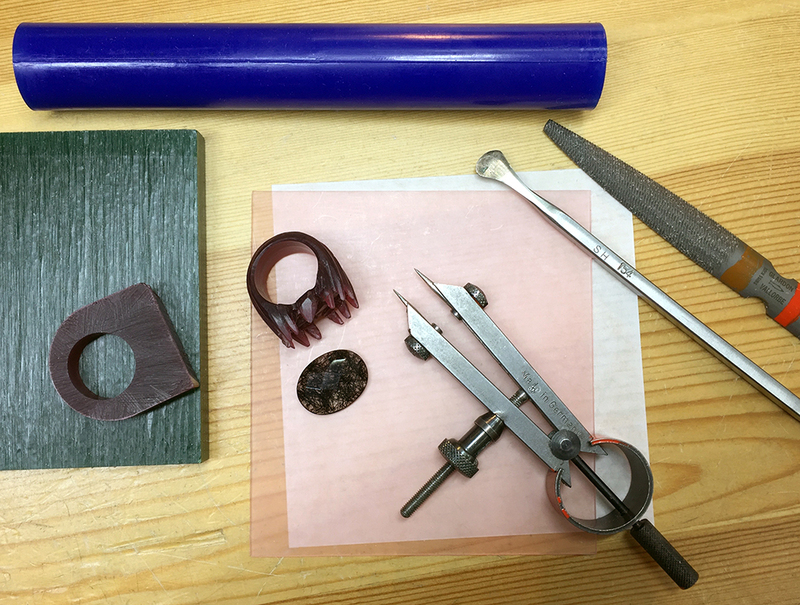 This course is open to beginning students as well as those who want to elevate their level of proficiency and strengthen their jewelry making skills. Introductory techniques will be taught and more advanced processes will be elaborated on, with a focus on methods and techniques to develop your designs. Plenty of variations will be given to accommodate all levels.